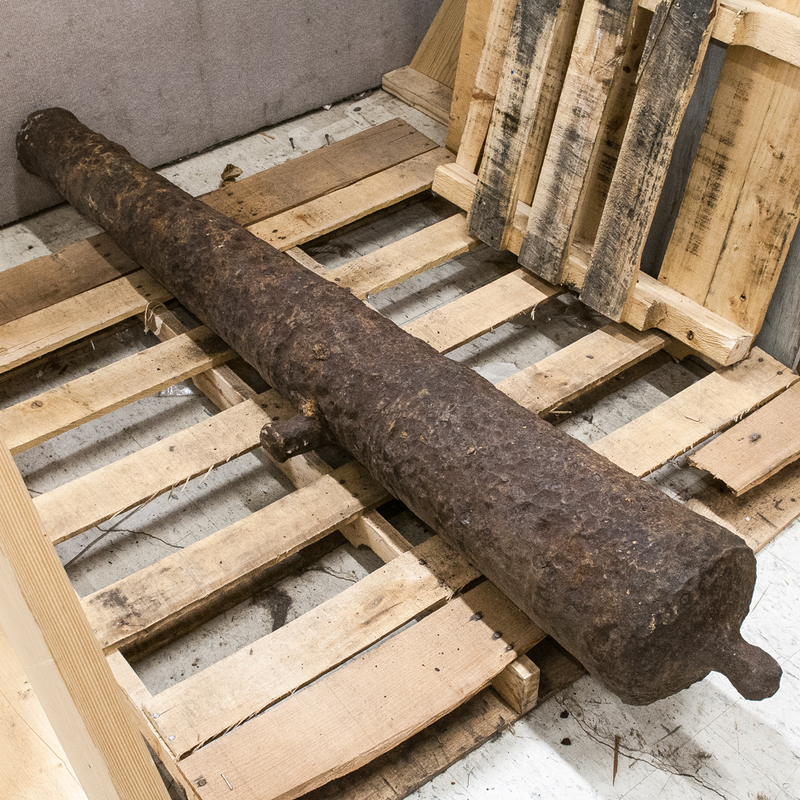 Early 18th Century Cannon Found in Boston Harbor, cast iron cannon tube, probably a four-pound gun, overall lg. 68 in. Note: According to information accompanying the cannon, it was raised by a dredger in front of the Charlestown Navy Yard and deposited at the Charles River Dam in the early 20th century. In relic condition with scaling and pitting, heavily corroded.